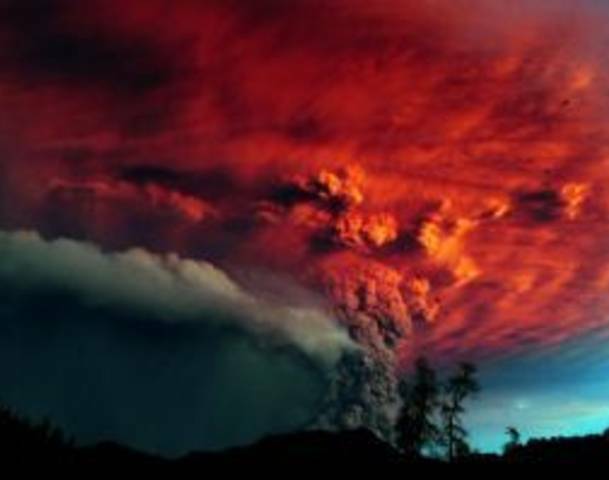 Puyehue volcano began to fire lava. There is no such location. Has Romney thrown the baby out with the bath water? Could prescribing aspirin ward off cancer? Sernageomin experts flew over the area where the volcano and observed the output of "viscous lava" that was heading west and flowing "slowly by a channel about 50 meters wide and 100 feet long." The ashes were moved after a change in the winds, the southwest Pacific and began to fall in several communes of La Araucanía, published Emol.com . Affect Pucón, Villarrica, Curarrehue, Temuco and Freire. This is fine particulate matter that would not be harmful. The Chilean airline LAN therefore canceled its flights from the cities of Temuco and Valdivia and go back there . He warned that it is likely that other flights will be affected as a result of changing climatic conditions. In the Patagonia Argentina , where many cities remain stagnant since the eruption, on JuneJune 4, the ashes are suspended by the waste accumulated volcanic, forcing people to reuse the chinstrap to navigate the streets. David Tressens, Secretary of Civil Defense of the tourist Villa La Angostura, said that "seismic activity of the 240 hours which was the volcano currently has 3 "and" 100 million cubic meters of pyroclastic material that was throwing in now yields 3 million. " Vicky247 is based in Lahore, Punjab, Pakistan, and is a Reporter for Allvoices. Nicely presented and flawless news story.Rated!! Keep it up! Signs of another disaster. Rated up. Yes, these natural calamities are strongly giving mankind a message to take heed. Rate you up. Thanks for the comments, obliged. Thanks for sharing the news. Rated up. An ash cloud from the June 4 eruption of Chile 's Puyehue-Cordon Caulle volcanic complex is making a second lap around the globe, crossing Australian airspace today after disrupting travel to and from Australia and New Zealand for six days last week. Debatertainers: Romney and Obama tweeted with respect? If you want to add your voice and contribute to this existing news event, use the event code (Event Code: @9456769), that you will find on each news event page, as the first word of the SMS or MMS message followed by a space then add your contribution (text, image or video). For example: @9456769 This is an amazing video of Greg Norman hitting a hole-in-one in Sydney, Australia. The first word of the message should be @9456769 (event code), to make sure the system attaches your voice to the right news event. To report news via SMS or MMS check out the following link for instructions. Take a look at my news report on allvoices.com! © Allvoices, Inc 2008-2012. All rights reserved.